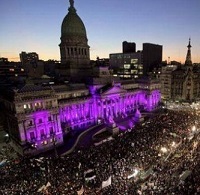 (IPS) – In the wake of the massive response to their call to protest violence against women in Argentina, the organisers of this week’s demonstrations are starting to plan the steps to be taken to get results for their demand “Ni Una Menos” (not one less), taking advantage of the strength in numbers shown to obtain political support for public policies aimed at protecting women. 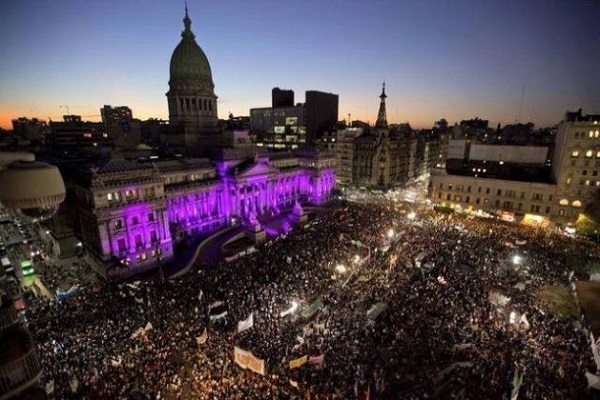 “This mobilisation has concrete proposals,” said Fabiana Tú?ez, one of the founders of La Casa del Encuentro, an organisation that took part in the protests that filled the streets of the capital and other cities on Wednesday Jun. 3, demanding an end to gender-related killings. “We will try to meet with potential candidates (for the October general elections) to outline proposals along different lines, and we hope they will listen to us, because we will keep saying – and these protests showed this very clearly – that it is a cross-cutting issue,” Tú?ez said.